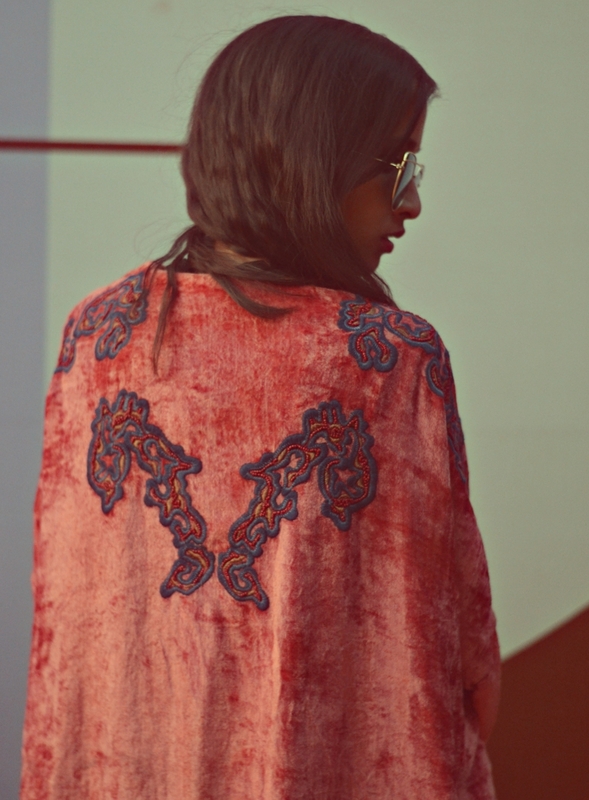 After power-dressing on Day 1 and picking up the embroidered trend for Day 2, I decided to go towards the velvet way on Day 3! 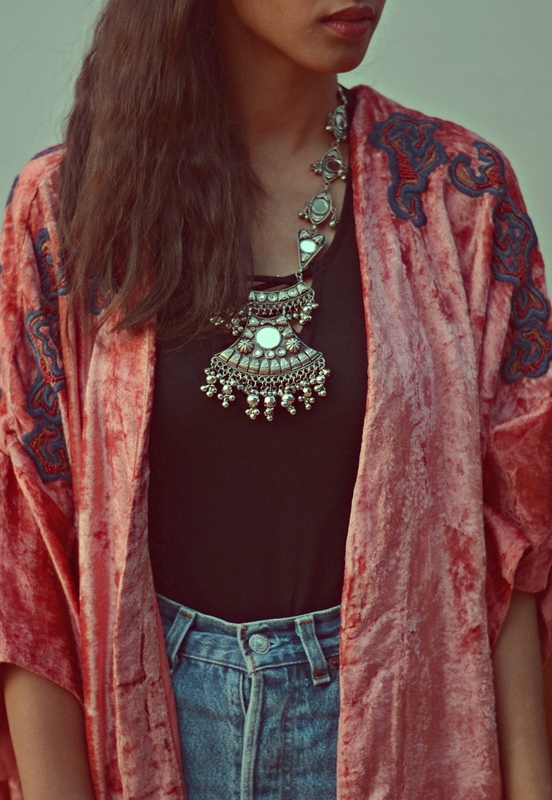 This outfit, without any intention also gave those Coachella vibes with a missing headgear, ofcourse. 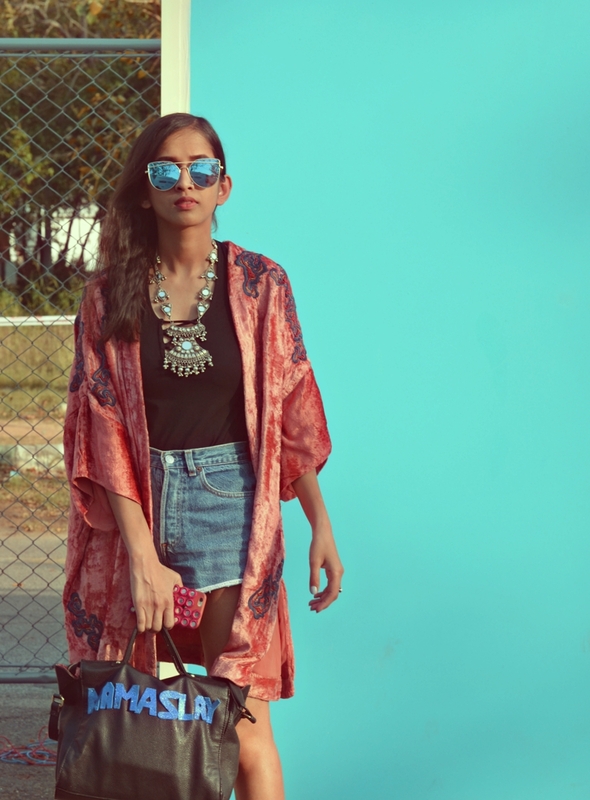 I decided to pair a knotted bodysuit with high-waist denim shorts and layered a peach hued velvet kimono over it. 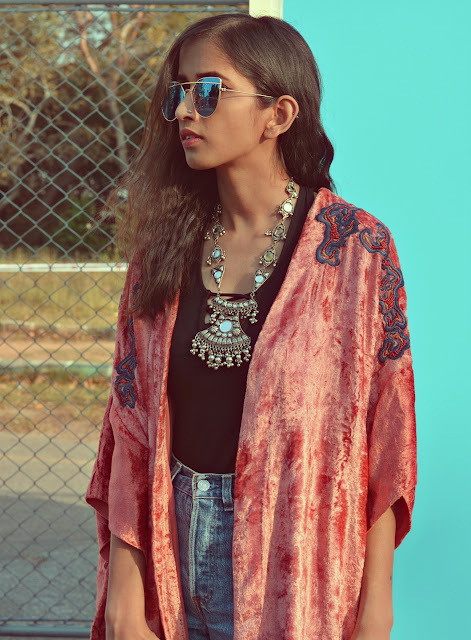 While we all know velvet to be a winter fabric, but with seasonless nature of fashion these days this versatile material can be incorporated to your summer wardrobe with a little cheat; like I did here, by picking an oversized, airy piece to keep me comfortable yet stylish! Finally wavy hair, a pair of sneakers & the sunglasses before heading out. Being a fan of Anju Modi's collection since I fell head over heels after I saw Bajirao Mastaani's outfits, I was pretty ecstatic for her show this season. 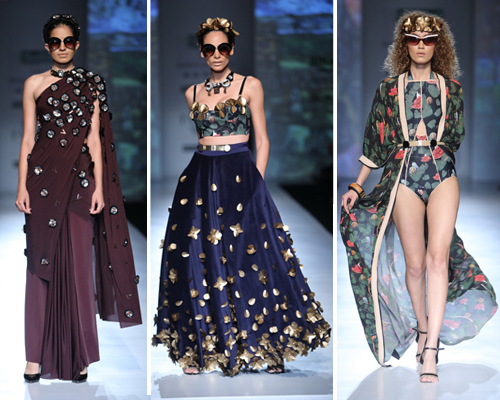 Anju Modi presented an architecture-inspired collection which was timeless, vintage & visually appealing! The collection was a heavenly line-up of structured lehengas with embellished capes, heavily layered anarkalis and gowns with intricate embroidery. 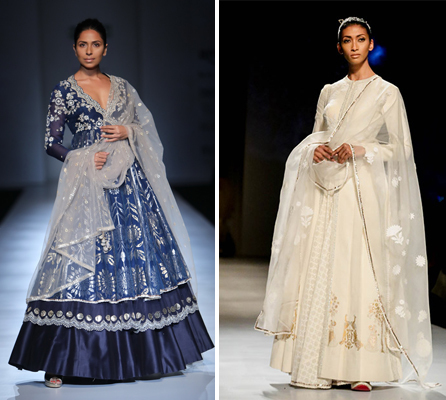 The colour palette depicted the changing colours of sky from white, beige, sunset yellow to midnight blue. Shivan & Narresh redefined Egon Schiele's work for their AW17 collection! Titled as 'The Egon Series' the collection carried various details such as - hand-cut details like the 'Schiele's edges' on the swimsuits to Swarovski crystals & ivory pearls to dazzle the lehengas, saris, jumpsuits and more! The fabrics used like neoprene, velvet, etc added an opulence to the collection. The deep rich color palette is ideal for the transition from day to evening celebrations from cocktails to destination weddings.